Tampa, Aug 31 (UNI) Republican White House challenger Mitt Romney today vowed to act tough with nations like Iran and China if elected, as he blasted his rival Barack Obama for failing to deliver and declared it was time for a “new leadership” in America. Formally accepting the Republican presidential nomination at the climax of the party’s national convention here, Romney, 65, accused the current Obama Administration of being apologetic and not being tough with countries like Iran and China. Casting himself as the best hope in America to lift the struggling US economy, Romney, himself a successful businessman, promised to make US energy independent, slash the deficit and create 12 million jobs. Taking the centre stage after Hollywood star Clint Eastwood had whipped up the passions, Romney asked Americans to put the “disappointments” of the last four years behind and join him in restoring the promise of America. With the US facing a tough time, the Republican hopeful in his historic acceptance speech dwelt mostly Romney on the ailing economy and only briefly touched on the foreign policy, promising American friends and allies that they would see “more loyalty”. Romney did not touch issues like Afghanistan and Pakistan and only praised the Navy SEALs for their operation in taking out world’s most wanted fugitive Osama bin Laden, drawing flake from the Obama camp who said he had ignored the Afghan war. “Every American was relieved the day President Obama gave the order, and Seal Team Six took out Osama bin Laden. But on another front, every American is less secure today because he has failed to slow Iran’s nuclear threat,” he said. “We’re still talking, and Iran’s centrifuges are still spinning. President Obama has thrown allies like Israel under the bus, even as he has relaxed sanctions on Castro’s Cuba,” he alleged. Romney said the US under his administration will honour America’s democratic ideals because a free world is a more peaceful world. 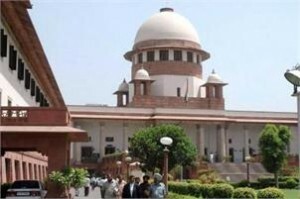 New Delhi, Aug 31 (UNI) Pakistani national Mohammad Hussain, who was awarded death sentence in a 1997 Delhi blast case in which four people had died, will have to face trial again with the Supreme Court today directing re-trial after setting aside his conviction and capital punishment. A three-judge bench headed by Justice R M Lodha gave this order on the ground that he was not given full opportunity to defend himself in the lower court. The apex court passed the order after a division bench earlier had given a split verdict on his appeal with one judge directing a fresh (de nova) trial and the other holding the trial as “illegal” and ordering Hussain’s deportation to Pakistan. Mohammad Hussain was convicted and sentenced to death in November 2004 by the trial court for his role in a 1997 Delhi blast case which had occurred in a blue line bus leaving four persons dead and 24 others injured. The trial court had termed the case as “the rarest of rare” one and had awarded death sentence to Hussain, a native of Jindrakhar village at Okara in Pakistan. The high court had in August 2006 upheld his conviction and the death sentence which was challenged by the Hussain before the apex court. U.N. chief Ban Ki-moon met Iran’s president and supreme leader in Tehran on Wednesday and urged them to take concrete steps to prove the country’s nuclear program is peaceful. He also called on all states to stop supplying arms to the conflict in Syria, Ban’s spokesman, Martin Nesirky, said. He told reporters in New York that in separate meetings with President Mahmoud Ahmadinejad and Supreme Leader Ayatollah Ali Khamenei, the secretary-general further said that he considered their latest verbal attacks on Israel to be offensive, inflammatory and unacceptable. 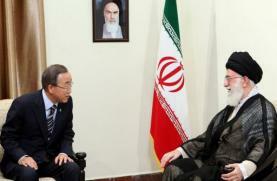 Ban arrived in Tehran on Wednesday for a three-day visit to attend a meeting of some 120 non-aligned nations. He defied calls from the United States and Israel to boycott the event. “On the nuclear question … he said that he regretted that little tangible progress has been achieved so far,” Nesirky, speaking by telephone from Tehran, told reporters in New York. “He said that Iran needed to take concrete steps to address the concerns of the International Atomic Energy Agency and prove to the world that its nuclear program is for peaceful purposes,” Nesirky said. 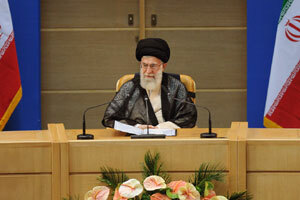 Iran says its program is peaceful, but Western powers and their allies fear it is aimed at developing atomic weapons. Iran has been hit with four rounds of U.N. Security Council sanctions for refusing to halt its nuclear enrichment program. “The secretary-general reiterated his opposition to the further militarization of the conflict and called on all states to stop supplying arms to all sides in Syria,” Nesirky said. Last week the United Nations said Iran appears to be supplying Syria with weapons, as the 17-month conflict that began as a popular uprising against Assad slides deeper into civil war. Ban expressed concern about the human rights situation in Iran and also said that he strongly objected to recent remarks by Iran’s leaders on Israel. Earlier this month Ahmadinejad said there was no place for the Jewish state in a future Middle East and Khamenei said Israel would one day be returned to the Palestinian nation and would cease to exist. “He said such offensive and inflammatory statements were unacceptable and should be condemned by all,” Nesirky said. 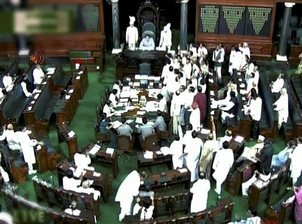 Aug,30(UNI):Parliament was adjourned till noon amid din as BJP persisted with its demand for Prime Minister Manmohan Singh’s resignation provoking Congress members to raise slogans. The deadlock in both Lok Sabha and Rajya Sabha over the CAG report on coal block allocation issue entered its seventh day as the Houses met after a day’s break on account of Onam. BJP members trooped to the Well raising slogans against the Prime Minister. They were countered by Congress members who raised slogans backing the Prime Minister. In the Lok Sabha, Speaker Meira Kumar took up the Question Hour but nothing could be heard in the din. BJP’s slogans of ‘Pradhan Mantri Istifa do (Prime Minister should resign)’ were countered by the Congress members who chanted ‘Pradhan Mantri Zindabad’. AIADMK and DMK members too were heard raising slogans against the government for training Sri Lankan forces at airbases in India. With members unrelenting, the Speaker adjourned the House till noon. In Rajya Sabha, BJP members started shouting “coal, coal, coal…” as soon as Chairman Hamid Ansari took up the first listed question of the day. BJP-led NDA members shouted slogans demanding resignation of the Prime Minister. All the while, ruling Congress members countered the slogan shouting by praising the Prime Minister. Minister of State in the Prime Minister’s Office V Narayanasamy, against whose name the first question of the day on time limit for action against corrupt officials was listed, said he was prepared to reply. “It is a very important question. 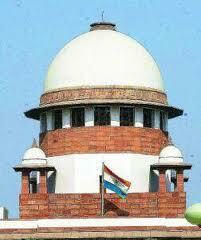 I am ready to answer… people of this country should know the action being taken,” he said amid slogan shouting. For a few minutes Ansari tried to conduct the proceedings, asking members to raise supplementaries. But, as slogan shouting BJP members started coming to the Well, he adjourned the House till noon. Washington, Aug 29 (UNI) Republican Mitt Romney is all set to challenge incumbent Barack Obama after the party nominated the former Massachusetts governor as its candidate for the presidential elections in November this year. Romney won the nomination as he crossed the support of necessary 1,144 delegates during the ongoing Republican National Convention in Tampa, Florida. The convention also approved Congressman Paul Ryan as his vice presidential running mate. Romney’s nomination will become official after he delivers his acceptance speech on Thursday, campaign officials said. He will legally be able to spend money raised for the general-election campaign only after Thursday’s speech. 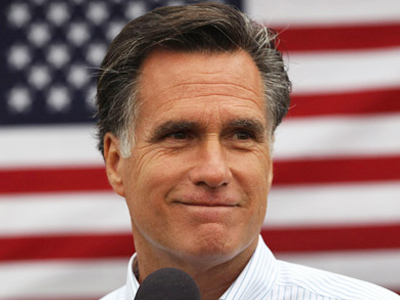 Romney, 65, is the first Mormon to be nominated as the Republican presidential candidate. Mormons are a religious and cultural group related to Mormonism, the principal branch of the Latter Day Saint movement which began with the visions of Joseph Smith in upstate New York during the 1820s. Romney will now contest against Barack Obama in the November polls to occupy the White House as new US president. Latest opinion polls indicate that Obama and Romney are in a statistical tie with each other. Meanwhile, during the convention, Republican speakers lashed out at President Obama and condemned the policies followed by him during his term as the president. 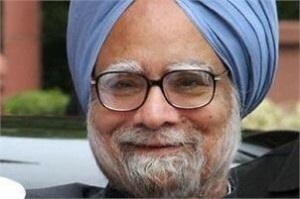 New Delhi, Aug 28 (UNI) Reinforcing A K Antony’s virtual no 2 slot in UPA II government’s pecking order, Prime Minister Manmohan Singh is understood to have issued a communication that the Defence Minister will chair union cabinet meetings, if required, during his visit to Iran. Singh, who left for Tehran this evening to attend the NAM Summit, is learnt to have issued the communication before his departure. 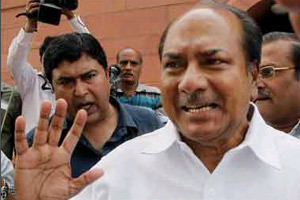 After the exit of Pranab Mukherjee from the Council of Ministers, Antony seemed to have got the number two position in the government. An indication to this effect had come when Antony was allocated the seat next to Prime Minister Manmohan Singh for the first time at a July 12 cabinet meeting here. Antony was allocated the seat to the right of the Prime Minister, where Mukherjee used to sit. The seat next to the Prime Minister on the left side is occupied by Cabinet Secretary Ajit Seth as usual. Earlier, Mukherjee, who resigned as Finance Minister on June 26 to contest the Presidential poll, was the de facto number two in the government. He would stay in Delhi whenever the Prime Minister had to go abroad on official visits.